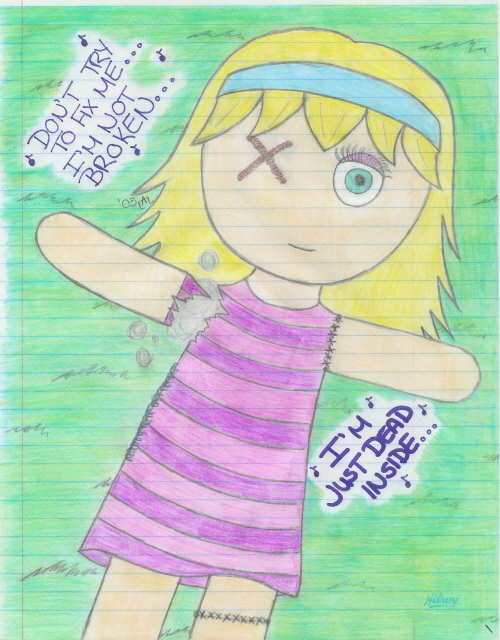 Yeah... this aint one of my more detailed pics and I realize its drawn messy and such but thats how I wanted it to be! I wanted it drawn messy otherwise I would have inked it to fix it up! Oh and if u cant tell, the X for the eye is stitching. If you look at it closely you'll be able to tell.